What Form of Magnesium Prevents Migraines Best? There is a lot of hype about magnesium deficiency and its connection to migraines—and certainly the idea of taking a natural supplement to prevent your migraines appeals to many. That being said, what do the experts say about taking magnesium for migraine prevention? Does it work? Magnesium can be found in foods, so if you and your migraine doctor decide to try magnesium, is it better to take a magnesium supplement or simply increase the magnesium in your diet? Magnesium is a mineral involved in the functioning and health of many parts of your body, including your muscles, bones, heart, and nerves. A deficiency of magnesium has been linked to a number of health problems, including migraine development. In the United States, magnesium deficiency is actually quite common and is mostly due to an increased intake of processed and refined foods, which are naturally low in magnesium. A number of medical problems can also contribute to magnesium deficiency, like alcohol abuse, kidney disease, celiac disease, inflammatory bowel disease, and certain medications like proton pump inhibitors (used to treat acid reflux). While magnesium deficiency has been linked to migraine development at a basic scientific level (think nerve cells and brain waves), experts aren't quite sure how that science translates to the clinical level (meaning to the person who is actually suffering from migraines). There are likely many factors involved in a person's migraines—a very complex neurological disease. So while magnesium deficiency may make certain people more vulnerable to developing migraines, it probably is only one piece of the puzzle. This all being said, some organizations, like the Canadian Headache Society, recommend magnesium as a preventive migraine therapy in adults. In fact, the Canadian Headache Society suggests a specific magnesium dose—600mg of elemental magnesium (magnesium citrate) daily. On the other hand, while the American Headache Society and the American Academy of Neurology report magnesium as "probably effective" in preventing migraines in their 2012 guidelines, they do not give recommendations on a specific dose. This is probably because the scientific studies examining magnesium supplementation in migraine prevention have used different doses. So it's hard to pinpoint exactly how much magnesium a person needs to prevent migraines, and it likely varies by the person (depending on how severe their deficiency is). Is There a Downside to Taking Magnesium Supplements? Magnesium supplements are generally well-tolerated. The biggest drawback to magnesium is that it can cause diarrhea and/or mild stomach cramps. Additionally, people with kidney problems are more likely to develop high magnesium levels in their bloodstream, which can lead to more serious problems like difficulties breathing or weakness. This is why it's important to first discuss magnesium supplementation with your doctor. Even though it's a "natural" mineral, you are putting something into your body—so remain sensible, and do it under the care of a healthcare professional. Some experts suggest increasing magnesium in your diet instead of going the supplement route, mostly because the evidence backing up magnesium supplementation is not all that robust. Also, it's really hard to know the dosage to take considering studies have used different ones. 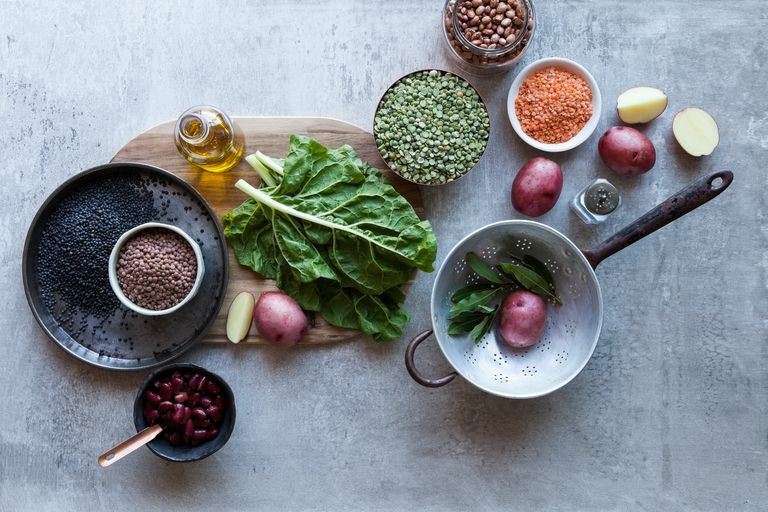 The great news is that if you prefer to go the diet route (under your doctor's guidance), there are excellent dietary sources of magnesium like nuts, especially almonds, whole grains, legumes, and leafy green vegetables. In fact, sticking to a magnesium-rich diet will likely ensure an overall healthy diet. Magnesium-rich foods tend to be high in fiber, as opposed to unhealthy foods like snacks, white bread, microwave dinners, and convenience foods like bacon or hot dogs. A magnesium-rich diet has the added bonus of combating obesity, which has been linked to migraines. Can Children Take Magnesium to Prevent Migraines? It's important to understand that the scientific evidence to support magnesium use in children with migraines is very limited. In other words, there are unfortunately not many studies on magnesium for migraine prevention in children, and the studies we do have are not strongly suggestive of its effectiveness. Regardless of this uncertainty, be sure to discuss any supplement or dietary change with your child's pediatrician. Also be aware that if your doctor does give the OK for magnesium supplementation, he or she will likely recommend a pediatric (child-safe) dose. If you have been recently diagnosed with migraines, it is reasonable to discuss a magnesium deficiency with your doctor, especially since taking a magnesium supplement or choosing to eat magnesium-rich foods is well tolerated, inexpensive, and easy. In deciding between a supplement versus the dietary route it may be more reasonable to opt for a healthy magnesium-rich diet. Eating a diet rich in magnesium has other health benefits like combating obesity, which may help your migraines in the end (a double bonus). Loder E, Burch R, Rizzoli P. The 2012 AHS/AAN guidelines for prevention of episodic migraine: a summary and comparison with other recent clinical practice guidelines. Headache. 2012 52:930-45. Orr SL, Venkateswaran S. Nutraceuticals in the prophylaxis of pediatric migraine: Evidence-based review and recommendations. Cephalalgia. 2014 Feb 24. [Epub ahead of print]. Teigen L & Boes CJ. An evidence-based review of oral magnesium supplementation in the preventive treatment of migraine. Cephalalgia. 2015 Sep;35(10):912-22. Sun-Edelstein C, Mauskop A. Role of magnesium in the pathogenesis and treatment of migraine. Expert Rev Neurother. 2009 Mar;9(3):369-79. Wang F, Van Den Eeden SK, Ackerson LM, Salk SE, Reince RH, Elin RJ. Oral magnesium oxide prophylaxis of frequent migrainous headache in children: a randomized, double-blind, placebo-controlled trial. Headache. 43.6 (2003): 601-610.